A short film about the order process you can expect from the New England Shutter Company. The only company in the world to manufacture hand covered faux leather and suede shutters, our exclusive finish combines luxury and durability. 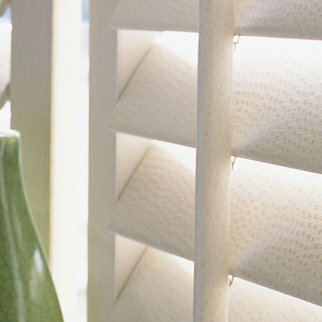 Our versatile Solid interior shutters add elegance and style while offering complete privacy, heat insulation and noise reduction in any room. Chic, unfussy bathroom shutters give the ideal balance of light and privacy, and create the perfect solution to screening bathroom windows. 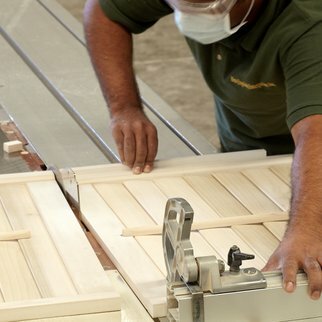 Traditional hand finishing skills are used by our experienced craftsmen to create beautifully exclusive shutters. 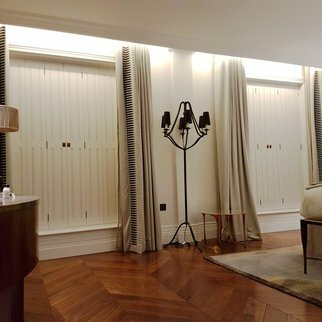 We designed custom faux leather window shutters to ensure total privacy for members at KX (‘Kicks’), a luxurious private London health club. Any combination of our finishes, designs and styles can be chosen to create a stunning bespoke look for your living room. 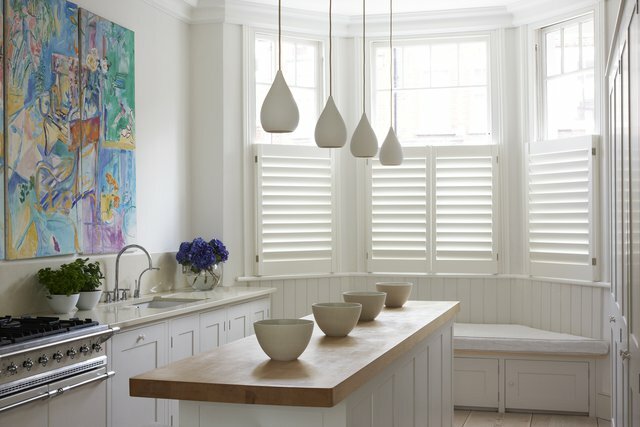 Customised shutters installed on tracks are a wonderfully practical way to screen large glazed areas. Ultra sleek and uncluttered lines. Westgreen Construction LTD asked us to manufacture and supply external cedar shutters for a garden studio building. 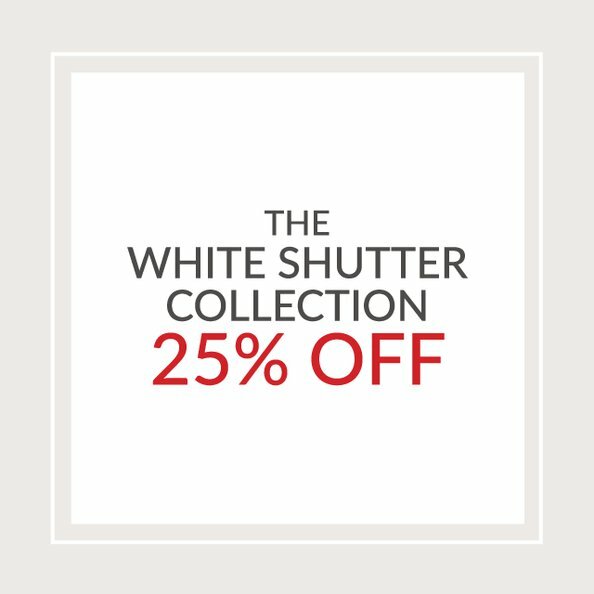 From traditional plantation to highly architectural, our full height shutters are available in a number of louvre designs and sizes. 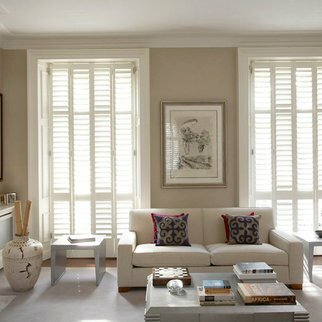 We can provide shutters for any shape of window, be it arched, triangular, circular or just unusual. Installation in approximately 4 weeks from placement of order. Installed in your home within approximately 4 weeks from placement of order. 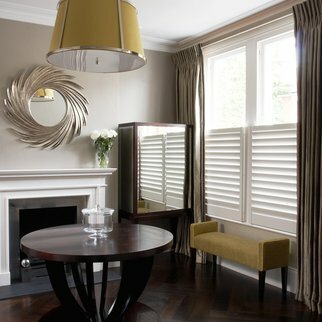 Custom-made in our joinery workshop, our exclusive range of shutters are available to view at our London based showroom. 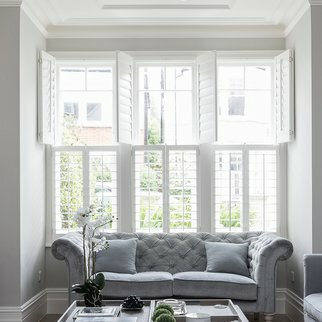 As the first choice for architects, designers, discerning homeowners and commercial clients, from traditional plantation to ultra-sleek, our shutters combine elegance with contemporary style. 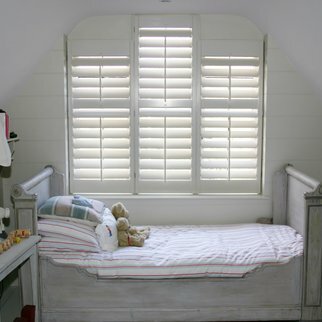 Whatever your specific needs are, we can design and manufacture shutters to meet them.